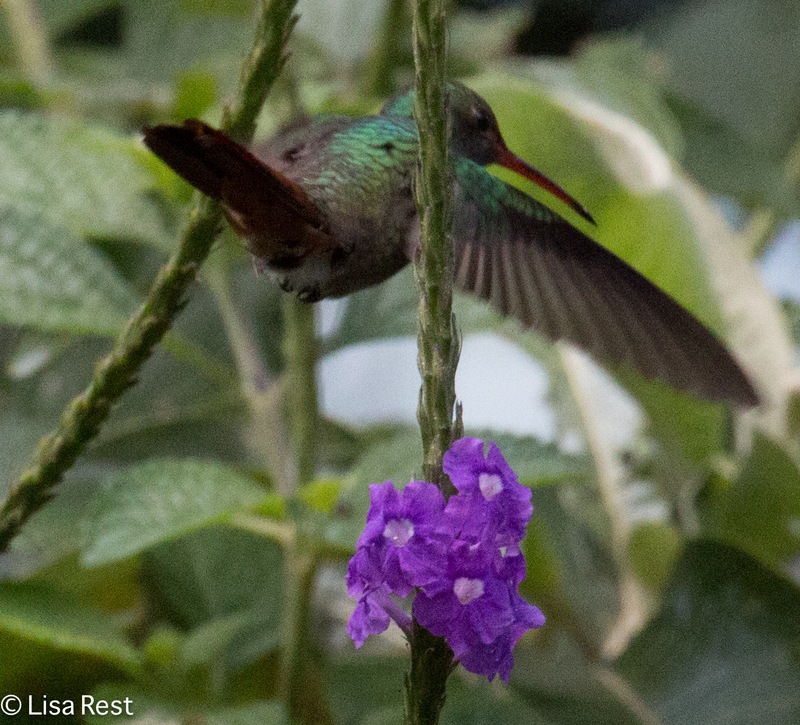 I have barely managed to process four days’ worth of photographs from Costa Rica, and have three more to go. 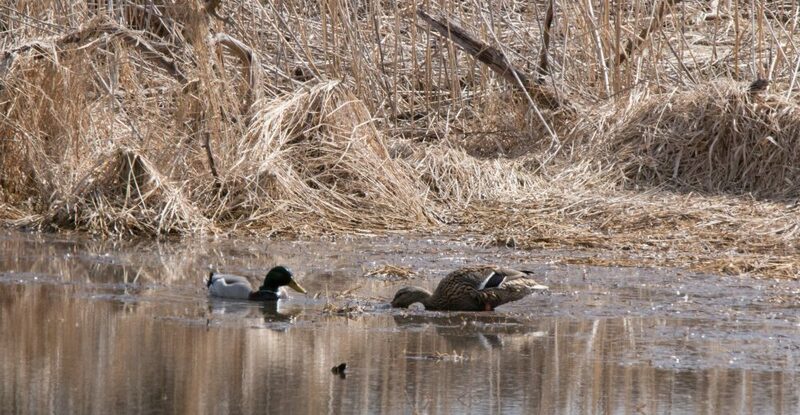 And this was not a birding trip! 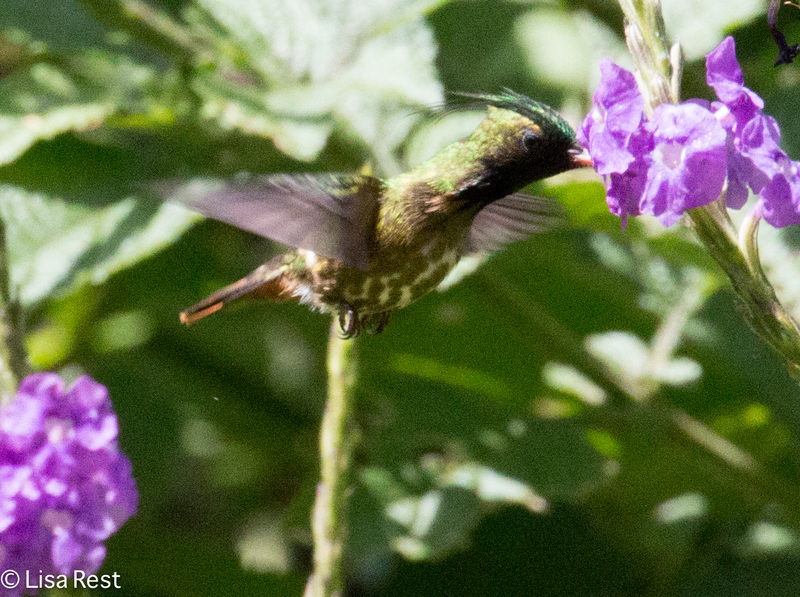 But I find myself with a surfeit of hummingbird photos, so maybe it’s time to look at a few before I discover any more treasures. 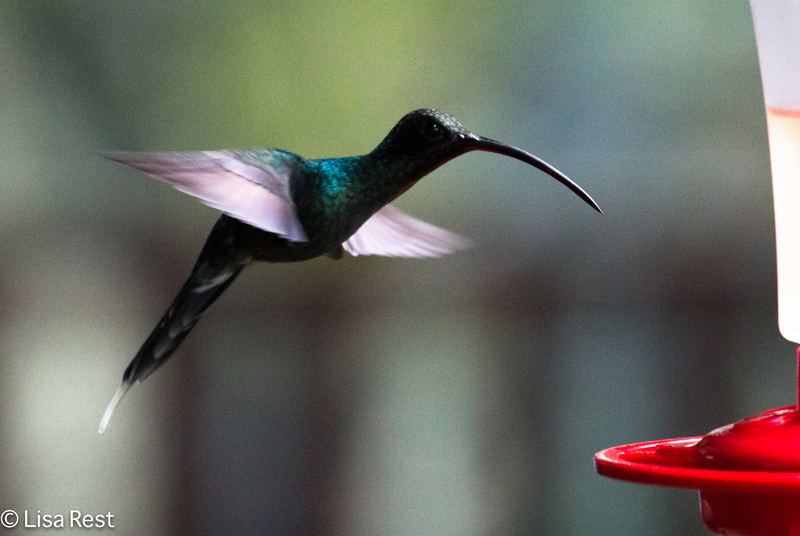 Perhaps the most unusual sighting was of the Volcano Hummingbird. 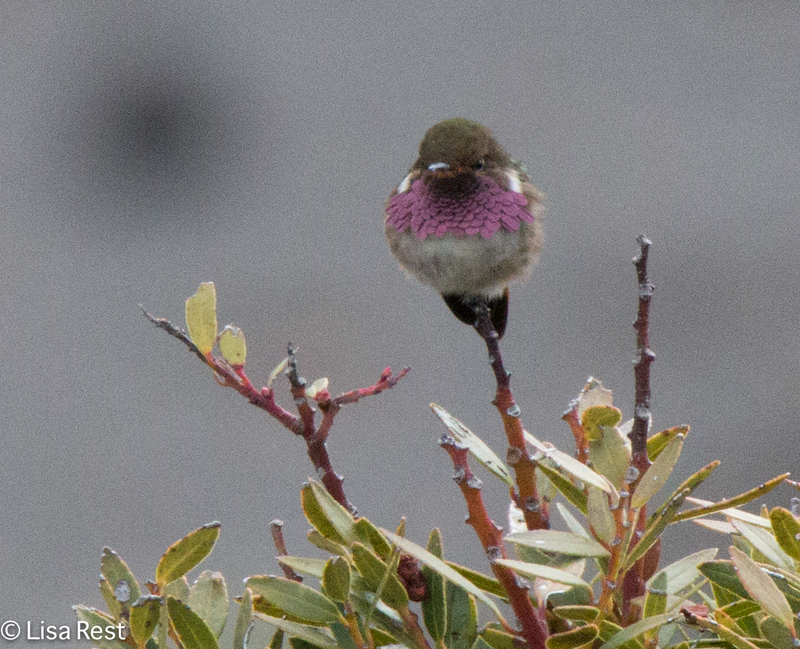 Although conditions were not perfect for photographing this bird, it was cooperative and loyal to its perch on top of a short tree hugging a crater of the Irazu volcano. 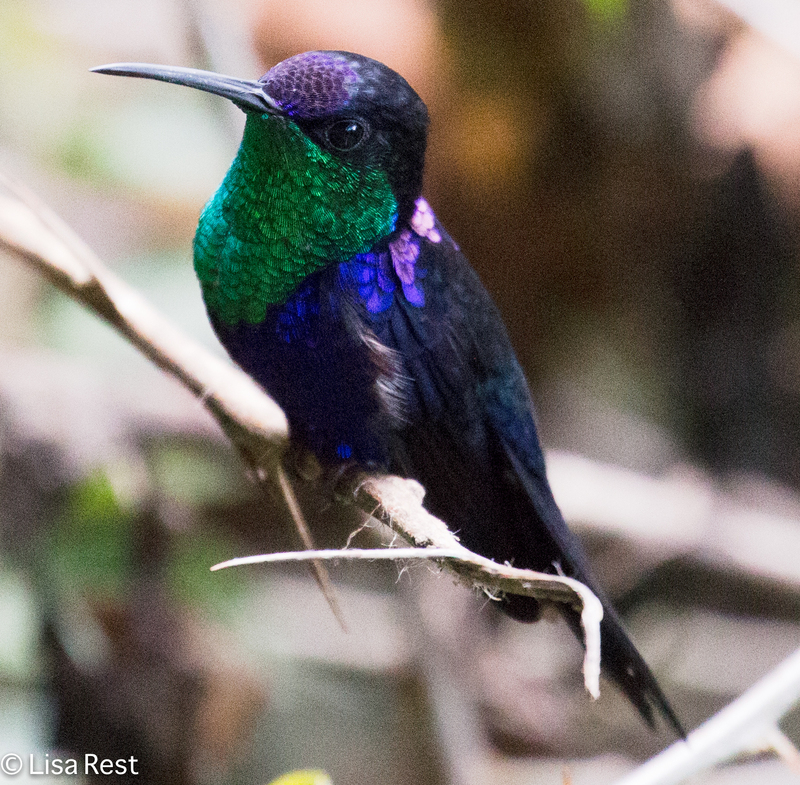 Even if White-Necked Jacobins were not widespread in Central and South America, they would be easily recognizable for their distinctive colors. 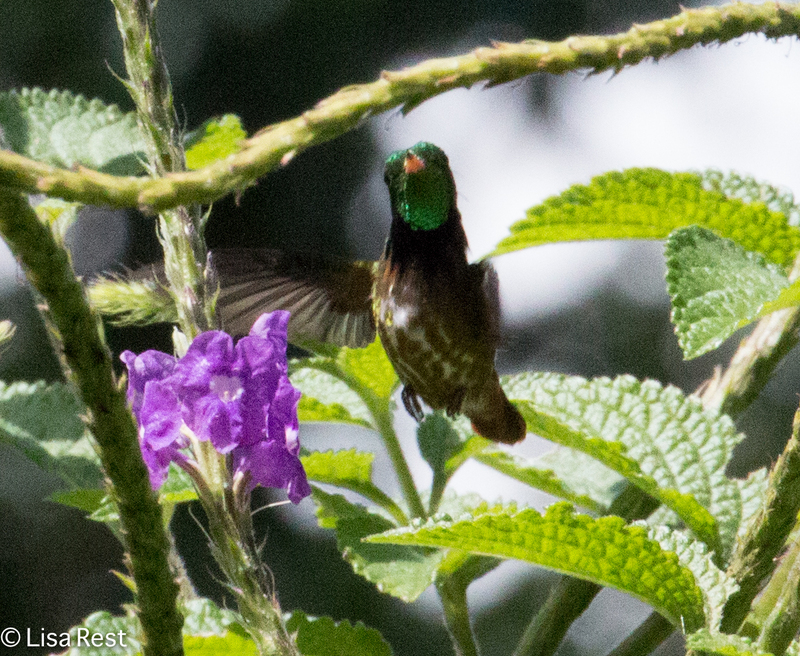 In the middle of our work week we took a day off from banding and one feature of that day was visiting Rancho Naturalista for lunch and observing their hummingbirds at the feeders, like the Green Hermit above and the Green-Breasted Mango below. 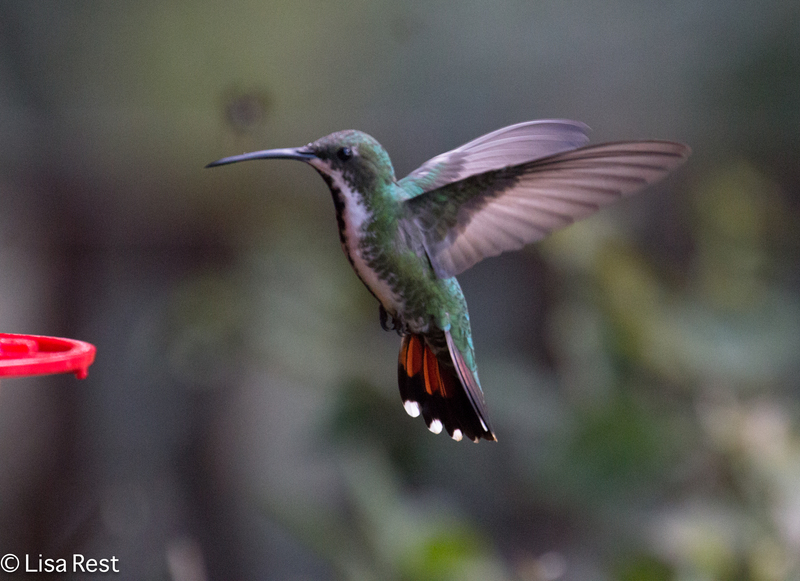 Rufous-Tailed Hummingbirds were numerous everywhere, and we were releasing them daily from the nets in the chayote fields. They appeared exotic again feeding in the vervain. Black-Crested Coquettes are distinctive-looking little birds. Going through the pictures I wondered how I could have missed the fancy striping on their bellies, but I guess I was paying more attention to the black crest and the white posterior band that I guess makes them coquettish. Crowned Woodnymphs used to be called Violet-Crowned Woodnymphs. 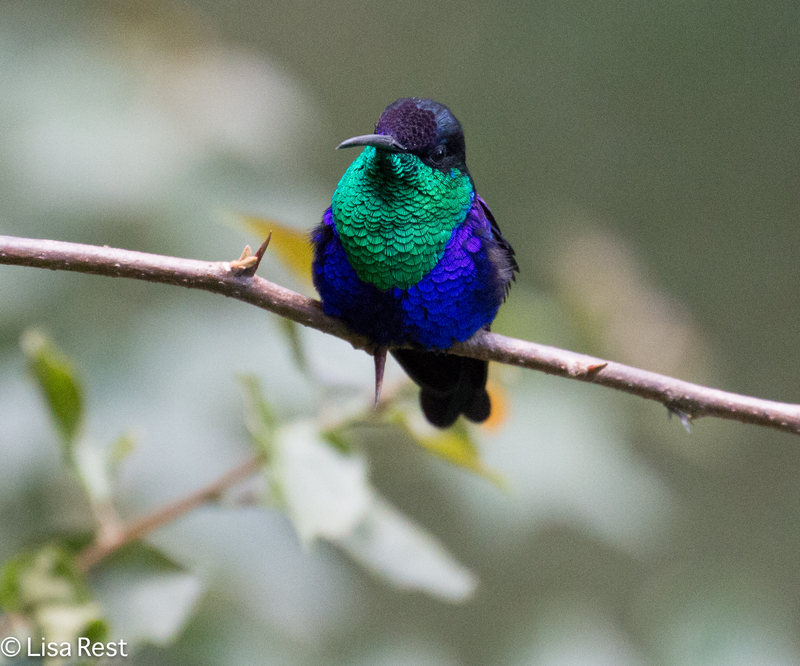 I kind of like the old name better but they’re spectacular-looking little birds, whatever they’re called. 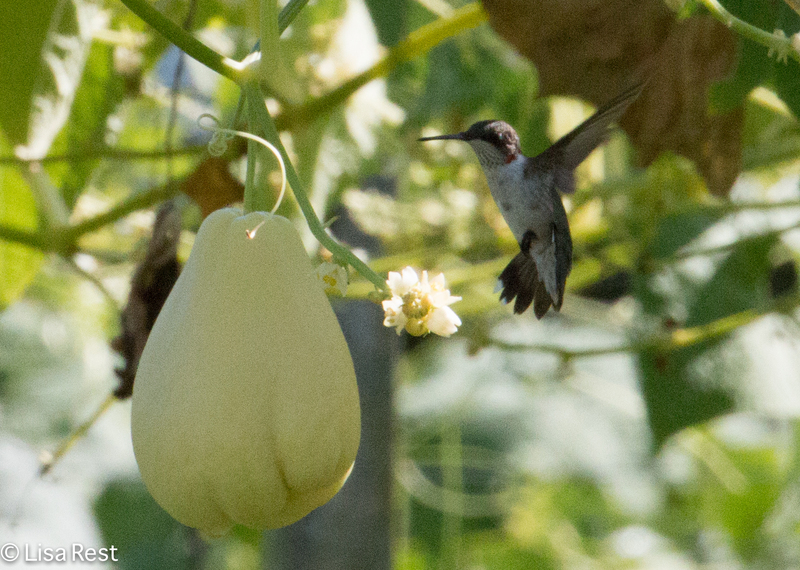 Of course we saw Ruby-Throated Hummingbirds outside of the nets too. It’s been nice to have a four-day weekend to spend at home observing my new live-in birds. 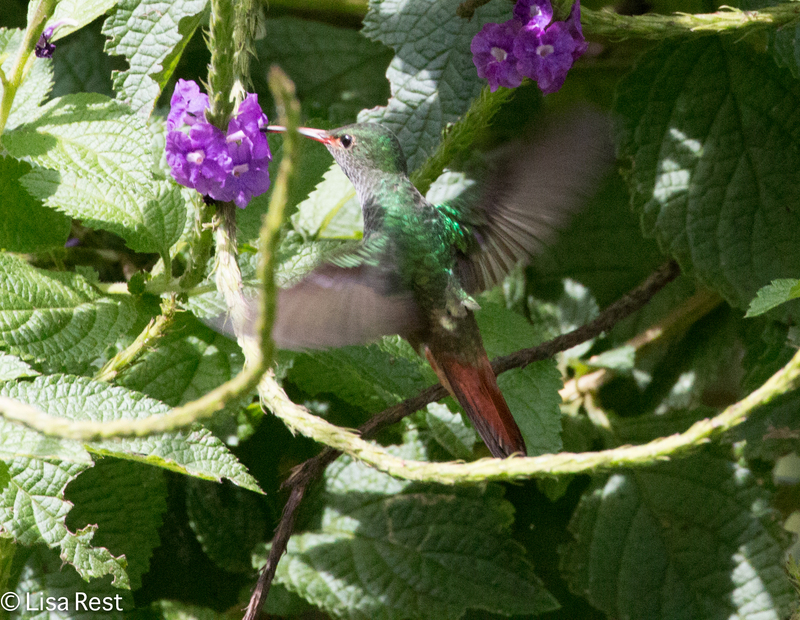 I hope to be back soon with reports from the home front as well as more from Costa Rica. 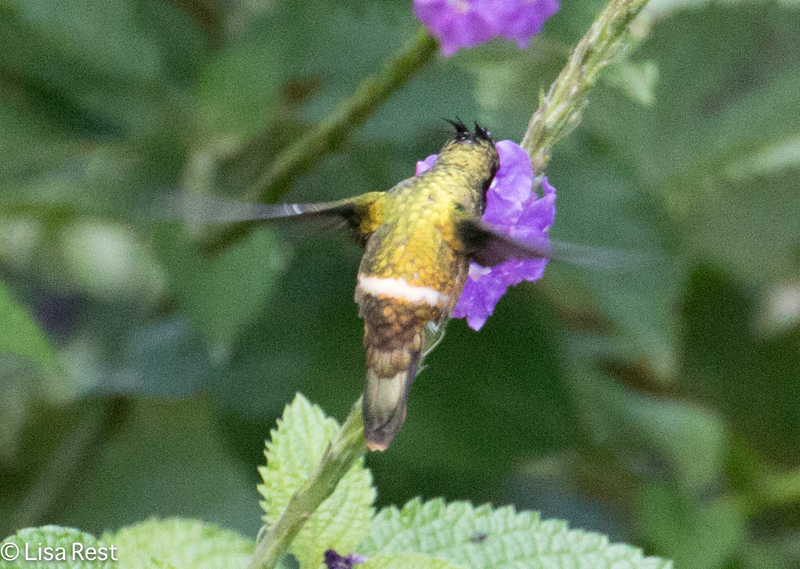 This entry was posted in birding, birds, Hummingbirds, photography and tagged Black-Crested Coquette, Costa Rica, Crowned Woodnymph, Green Hermit, Green-Breasted Mango, hummingbird feeders, Irazu, Rancho Naturalista, Ruby-Throated Hummingbird, Rufous-Tailed Hummingbird, volcano crater, Volcano Hummingbird, White-Necked Jacobin by Lisa Rest. Bookmark the permalink. Wow! 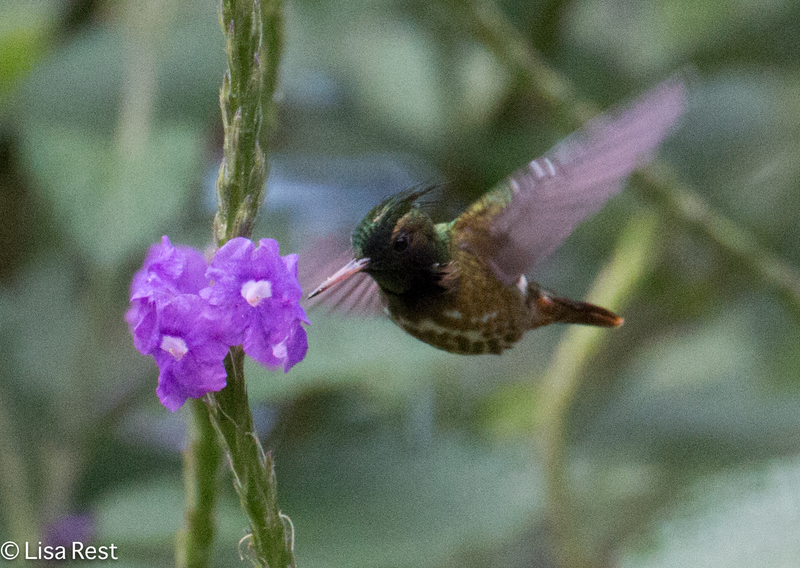 Wonderful photos of those little hummers. Coincidentally, a friend just arrived in Costa Rica a few hours ago. She said she was heading into the rain forest tomorrow. She, too, is a bird photographer. I hope she gets some images as gorgeous as yours. You have lived my dream! 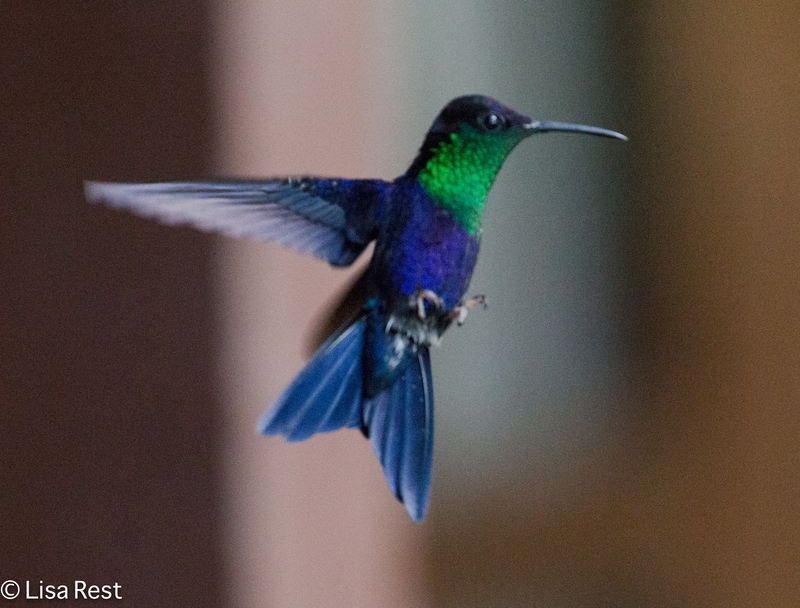 I am dying to go to Costa Rica and see the birds. These are great photos. 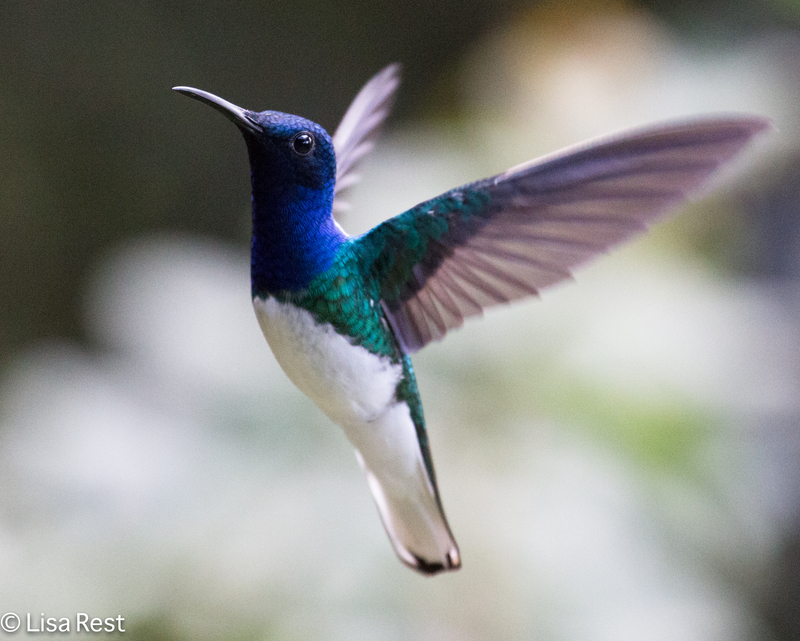 My favorites are the white necked jacobin and green breasted mango. Such great names and fabulous birds!